Upon first listen there was no doubt of the star power brewing in New Zealand’s dark horse Lorde. Her debut album being a refreshing departure from the candy coated pop music dominating the airwaves by her counterparts. 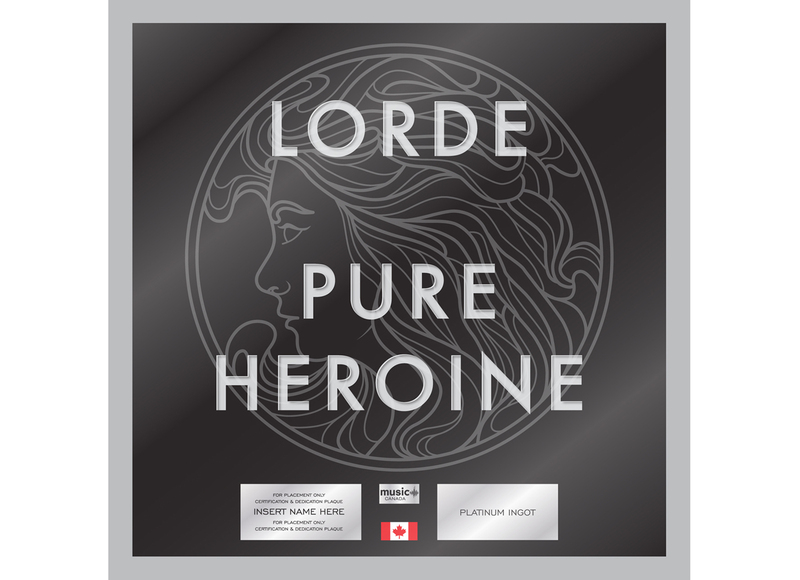 It was a very exciting day in the studio when I was commissioned to create the advertising campaign and subsequent platinum awards for Lorde’s full length debut, Pure Heroine. After diving into the background of Lorde’s style I found quickly that she was not one to shy away from alternative creative styles. 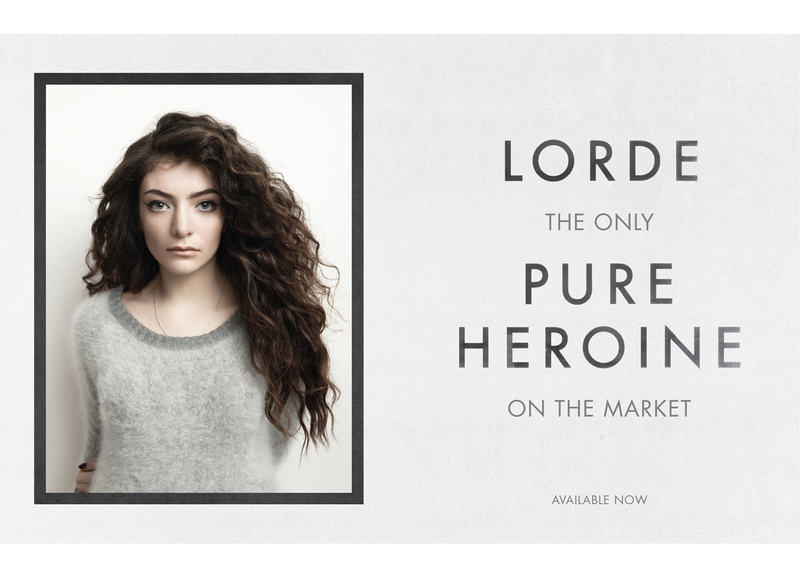 As such we opted to further play on her “Pure Heroine” album title for the advertising campaign with the final copy being: “LORDE, the only PURE HEROINE on the market.” I opted to use a lesser known portrait from the inside of the package with a light grey paper background to further differentiate this campaign from the old dark promotional materials created earlier in the album cycle. 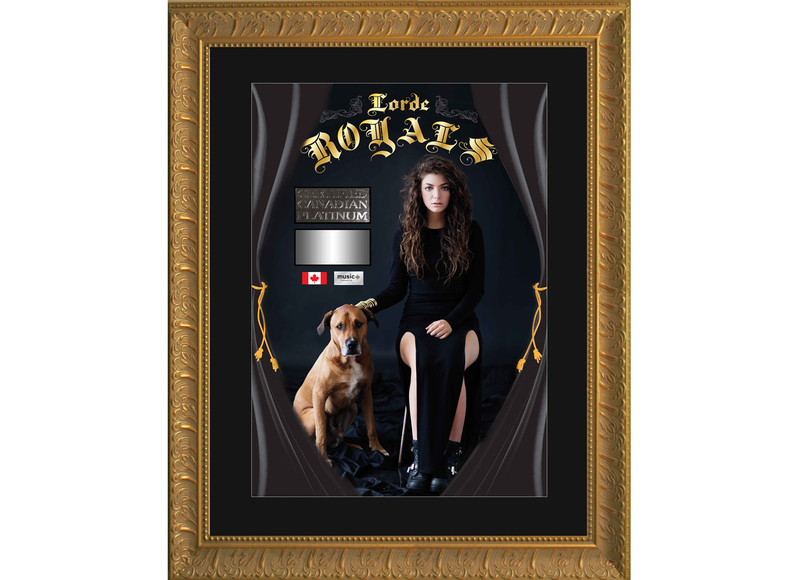 For this release I developed a limited edition vinyl poster for fans to win and/or buy at Lorde’s upcoming concerts. 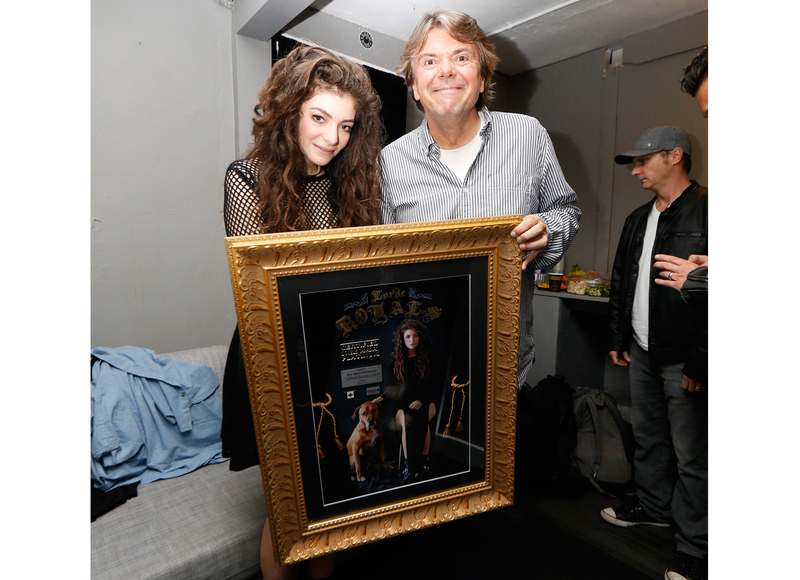 These posters were numbered and individually autographed by Lorde to be one of a kind keepsakes for her devoted fans. I decided to print on vinyl to give the posters a more art like feel similar to the royal portraits of Europe.